The Australian Border Force is receiving Inmarsat's (LSE: ISAT.L) Global Xpress global mobile satellite service as eight maritime vessels have recently been fitted with new Cobra-class satellite communications terminals, designed, developed and manufactured by EM Solutions. These products enable governments to augment the capacity they have on government-owned satellites with commercial satellites. Andy Start, President, Inmarsat Global Government, said that this contract ensures the Department of Immigration and Border Protection remains at the forefront of communications technology while allowing it to continue to leverage its existing government-owned communications satellites. 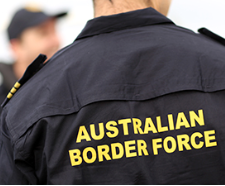 The broadband services and terminals augment and enhance what is possible for Australia’s border protection crews in order to keep them connected at all times. Dr. Rowan Gilmore, CEO of EM Solutions added that they are delighted to have had the opportunity to collaborate with Inmarsat and the Australian Border Force to supply their new Cobra terminals to the project. These terminals are the first of their kind to operate on both the commercial Inmarsat Global Xpress satellite system as well as the military Wideband Global Satcom satellite constellation, to provide more assured communications. As a result of this development we have already seen interest expressed by navies from around the world. As part of Inmarsat’s commitment, a fourth Global Xpress satellite (I-5 F4) has completed construction and testing by Boeing in California, and is likely to be launched in mid-2017 in order to provide additional GX capacity.